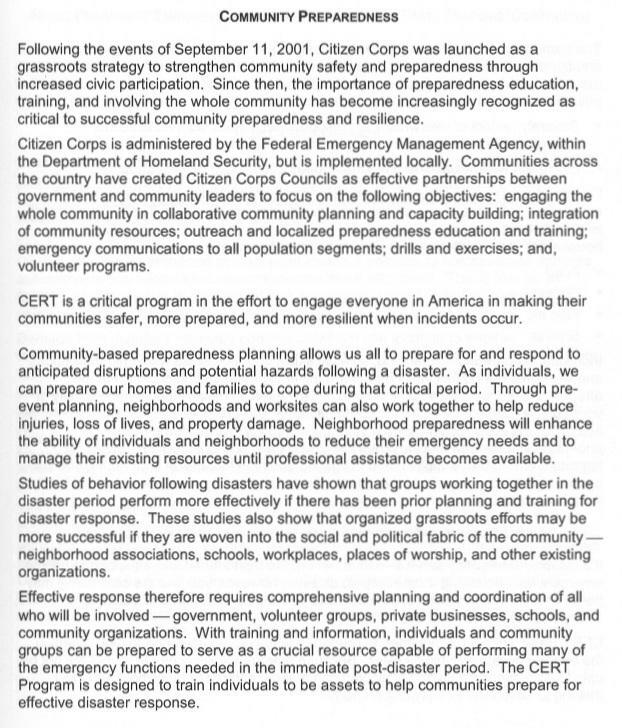 "CERT is a critical program in the effort to engage everyone in America in making their communities safer, more prepared, and more resilient when incidents occur." 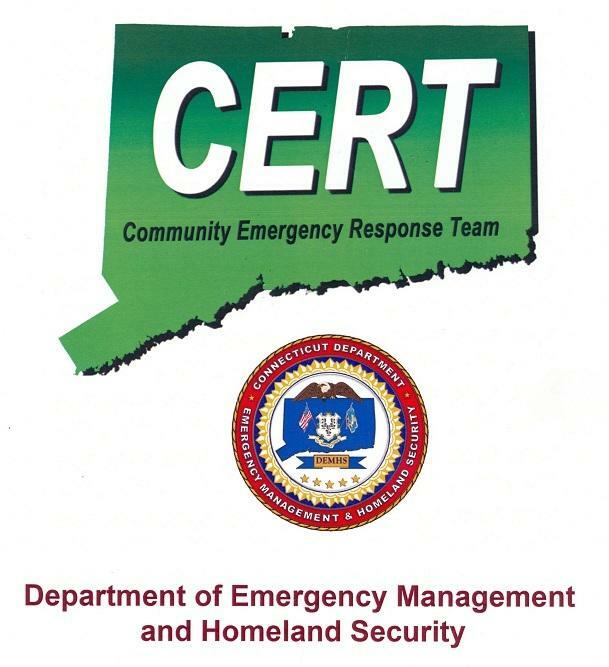 CERT operates under the Federal Emergency Management Agency (FEMA) arm of Homeland Security. It is the 21st century descendant of the Cold War era Civil Defense and the later Civil Preparedness programs. This website will continue to feature more on this valuable Homeland Security program in the future. "Following a major disaster, first responders who provide fire and medical services will not be able to meet the demand for these services. Factors as number of victims, communication failures, and road blockages will prevent people from accessing emergency services they have come to expect at a moment's notice through 911. People will have to rely on each other for help in order to meet their immediate life saving and life sustaining needs. "CERT is about readiness, people helping people, rescuer safety, and doing the greatest good for the greatest number. CERT is a positive and realistic approach to emergency and disaster situations where citizens will be initially on their own and their actions can make a difference. Through training, citizens can manage utilities and put out small fires; treat the three killers by opening airways, controlling bleeding, and treating for shock; provide basic medical aid; search for and rescue victims safely; and organize themselves and spontaneous volunteers to be effective." From the January 2011 edition of CERT Student Guide . . .